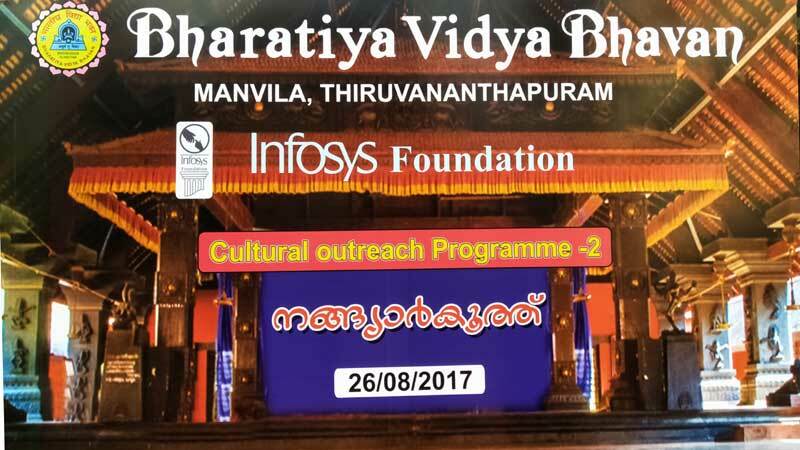 Bharatiya Vidya Bhavan and the Infosys Foundation jointly had organized a cultural program to restore the glory of our cultural tradition. In this year, our school became the backdrop of a vanishing classical temple art form of Kerala, Nangiarkoothu. An accomplished danseuse of the new era, Anjana.S.Chakyar, the grand daughter of Kutiyatam maestro Padmasree Moozhikulam Kochukuttan Chakyar, gave an exquisite performance. This is the second program that was organized in our school,the first being ‘Padayani’. This cultural extravaganza had an appreciating audience of parents,teachers and children. It was delightful to realize that ours is a tradition that is unique and unparalleled.